Pretty much? There's nothing to say here. This gorgeous cover speaks for itself! Can't wait until MARCH! And congrats Lisa and Laura Roecker on your ROCKIN' cover! 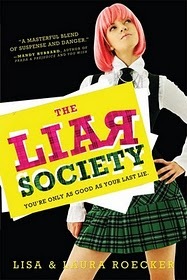 Visit The Liar Society website for more info and goodies!